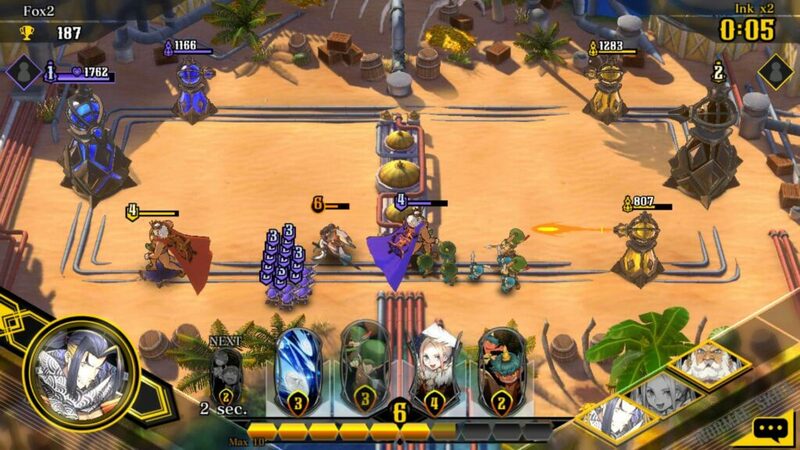 Revolve8 is an excellent real-time strategy game from SEGA. Combining card battle, tower defense and MOBA gameplay elements, the game offers thrilling real-time PvP battles to players. You will have to defeat your opponent by destroying his towers in 3 minutes. The player who destroys maximum number of towers or the main tower before his opponent does wins a match. Low-cost “minion” cards play a very important role in battle. They require less ink, which is why you can deploy them at a much faster rate than others. One of the main strategies is to keep your enemies busy and stop them from attacking your towers and these minions play a big part in that strategy. They can also prove to be of great support to your heroes and can be used to slow down enemy heroes and units. Since the ink requirement to deploy these minions is very low, you can deploy them at a steady rate to attack enemy towers or stop enemy units or heroes on their way. As you progress through league matches, you will obtain better low-cost cards. Keep experimenting with decks by having a right combination of minion and hero cards. 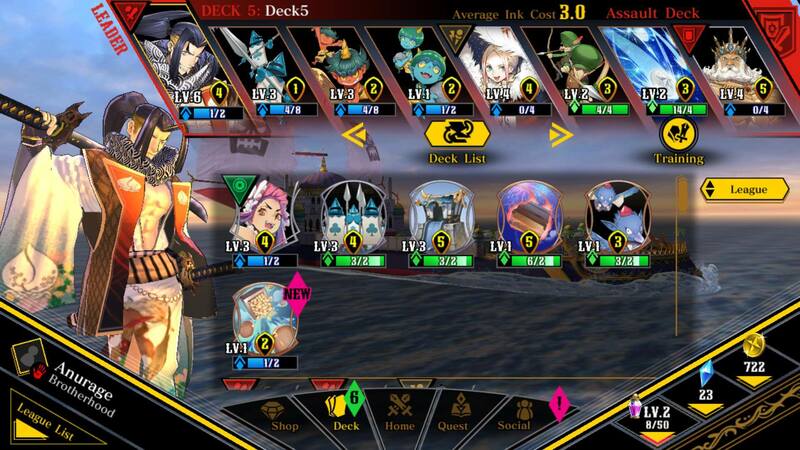 You can build up to five different decks in Revolve8. Make sure you have both close- and long-range minions in your deck. You can send melee units followed by long range minions to support their close ranged pals. Melee units will keep enemies busy, while long range units can take them down from a distance. The one big difference between a hero card and a normal card is that the former possesses skills. Attack skills can be pretty devastating, and you should save them for key battle moments. A hero has two types of skills – Normal and SP. Normal skill can be used several times in a battle. However, you will have to wait for his/her skill to charge up. Once fully charged, tap the hero’s portrait on the bottom-right corner of the screen to activate his/her skill. SP skill can be used only once. Also, you can use a hero’s SP skill only when you promote him as a leader of your deck. You can add up to four leaders in your team. Make sure you have two or more heroes in your starter deck. Yes, it will increase your “average ink cost” since each hero card costs more ink than normal cards, but the powerful skills they possess will definitely compensate for their high cost. You can replace “Card Squad”, “Ogre Hut” and “Flying Trunk” with Hero Cards like Momotaro, Red Riding Hood and Emperor in your starter deck. As you keep advancing in league matches, you will obtain more hero cards as match rewards from books. You can make proper use of this hero combo by deploying the emperor first and then by deploying the Red Riding Hood. Being a tank unit, the high-HP Emperor can take lots of damage, while the Red Riding Hood can attack from a distance. Enemy units will be busy attacking the Emperor while the Red Riding Hood behind him will eliminate them one by one. Never leave the Emperor alone. This slow-moving hero won’t attack enemy unit, he only attacks towers. You should have a proper backup and nothing can be a better support than the Red Riding Hood. Together, they can easily vanquish enemies and can also destroy one of the secondary towers easily. Tip: Always deploy slow-moving heroes, such as the Emperor, on the border of your territory. You would want them to reach the tower quickly, so it doesn’t make sense if you deploy them close to your towers unless there are enemies already attacking your towers and you want to divert their focus towards the Emperor. Timing is crucial in Revolve8, especially when it comes to using hero skills. Since skills take some time to charge up, using it against minions or other enemy units is futile. You should use a hero’s skill at the right moment, especially when he or she is in danger or when they are close to an enemy tower. I always use Red Riding Hood’s “2 Fast 4 You” skill when she is near a sub tower. Activating this skill increases her attack speed considerably for a few seconds, which is enough to drain lots of HP from an enemy tower. I use Emperor’s “Heal Flex” skill only when he is attacked by multiple enemies, especially when he is attacking a tower. Since he can’t attack enemies, the heal flex skill recovers some part of his max HP giving him enough time to destroy a sub tower. 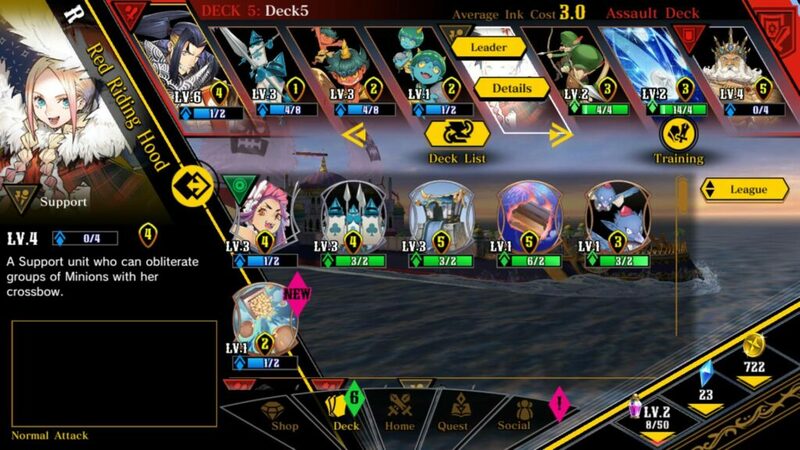 Each hero has a unique SP Skill, which is activated when he/she is made the leader of a deck. SP skill can be used only once in a match, so make sure you use it when it’s needed the most. I usually save it for crucial moments, when my main tower is in danger or when victory is near but my deck leader is surrounded by enemies. Before choosing a hero as your leader, check his SP skill. Tap his/her portrait, tap “Details” and scroll down to check what purpose their SP skill serves. Knowing how a hero’s SP skills works will help you use it at the right moment. For example: Momotaro’s Spirit Slash should be used when there are multiple enemies in front of him. Activating his SP skill will let him rush toward and attack up to 4 enemies. 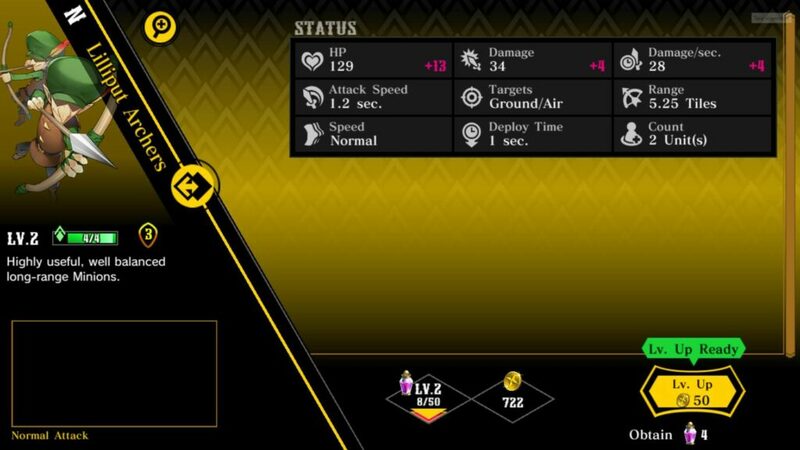 Note: A leader’s SP skill bar can be seen on the left side of the screen. SP skill takes more time to charge, unlike normal skills. However, you don’t have to deploy a hero in order to trigger charging his skills. Your leader’s SP skill and your heroes’ normal skill bar keep charging up in the background. When fully charged, your hero’s portrait glows. To assign a hero as the leader, go to “Deck” and then tap a hero’s portrait. Next tap “Leader”. The hero card will move to the first position of the deck. Revolve8’s real-time battles get more intense when there’s only a minute left. When the timer hits 1:00, ink production is doubled. During this time, both you and your opponent will be able to deploy units faster. Take maximum advantage of this and keep sending minions to attack enemy towers. Because most minion cards consume less ink, you will be able to deploy more of them at a much faster rate when the ink production doubles. You can level up a normal or hero card when you receive a certain number of duplicates for the same card. The required number of duplicate cards can be seen below each card in your deck. When a card is ready to be upgraded, a green arrow shows up below it. Tap that card and then tap “level up”. Leveling up a card improves its stats, such as HP, DMG, DPS etc. You should always level up cards in your deck whenever there’s an opportunity. As you progress to a new league, you will face tougher opponents and a deck full of upgraded, powerful card is important to win a league match. You will receive books as rewards when you win league matches. A book contains cards and golds. You might receive duplicate cards from a book. Keep winning league matches to earn books. You capture some part of enemy territory when you destroy one of his sub towers. This territory expansion allows you to place units in captured territory, which will ultimately allow them to reach the main tower much faster than before. You should deploy the emperor or other tank hero on the borders of the captured territory so that they can reach the main tower quickly. Revolve8’s quests are a fun way to learn new strategies and get to know your heroes closely. The Quest section is divided into two parts – Main and Hero. In Main quests, you will learn different strategies. You will learn how to attack air and ground units, make proper use of your cards, build deck formations, attack opponent’s tower and defend yours. In Hero quest, you will learn how to make most of each unlocked hero and use his/her skill. You will also earn bonus gold and jewels when you complete a hero and main quest respectively. You can skip dialogue-based quests, but you will still get your rewards. You will have to play battle quests to get your rewards. 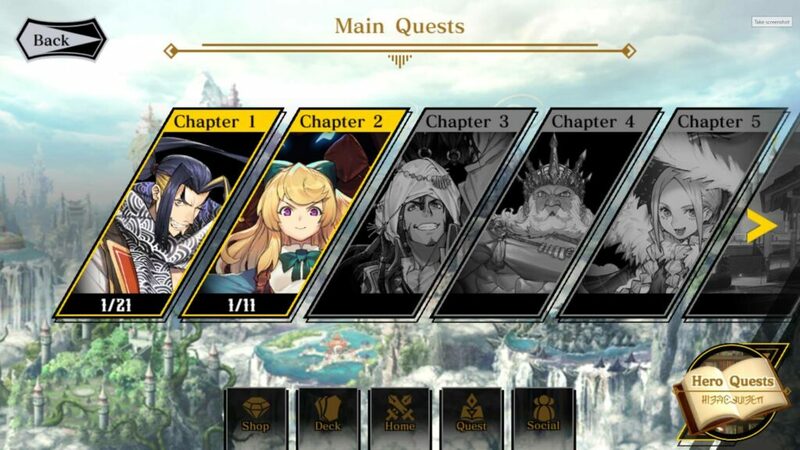 Finish main quests, which includes dialogue-based quests and battle quests. Complete missions and achievements. Tap “Mission” on your home screen to get the full list. Make sure you tap “receive” to claim your rewards. Check the gifts section. You will obtain lots of jewels as milestone and celebration rewards. You can get more than 1000 jewels.